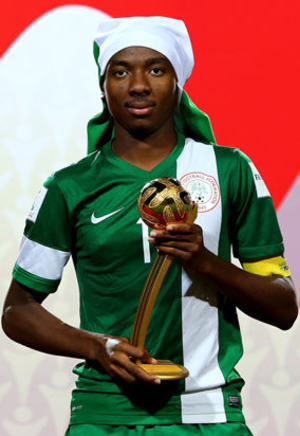 ARSENAL have sent Kelechi Nwakali out on loan to Dutch second division side MVV Maastricht. The 18-year-old attacking midfielder joined the Gunners earlier this month from Nigerian side Diamond Football Academy.And now he will link up with Maastricht to get experience of senior football. The announcement, made on the official Maastricht website, happened a few hours before tonight’s deadline. Maastricht boss Ron Elsen said: “Kelechi is a multifunctional attacking midfielder with scoring ability and a nose for the final pass. “He has joined Arsenal U23 and is a promising player.”At the promises football is valuable, but Arsenal will find that it is now time for him that he develops through at senior level. “This is possible by making more playing time in a competition and in competition where it really matters.